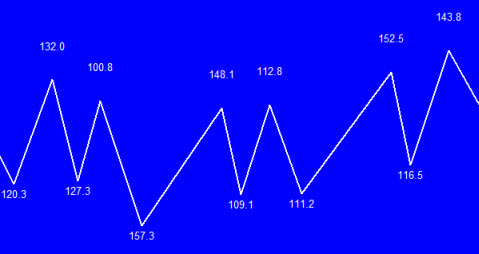 The Good Vibrations Forex indicator is one of my best Forex trading tools. During my Market Analysis service many of the participants have noticed a non-standard indicator that I use. It is the Good Vibrations Indicator and below are some details of how it works and how it adds confidence to my Forex trading. 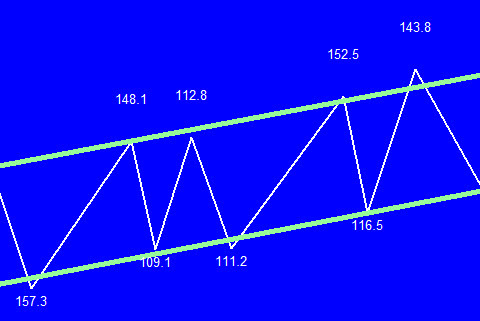 Forex traders know that Forex prices mainly move in horizontal and non horizontal channels and not in straight lines. The prices are continuously making new highs and new lows all the time. I refer to the price movement as one of a fat snake. This concept applies to all timeframes. The price vibrates between highs and lows all the time. One of the best MT4 indicators that shows the historic movement of the price, continuously making new highs and new lows, is the ZigZag indicator. The Standard ZigZag indicator has many short comings. It makes the charts look cluttered and does not measure the distance between the highs / lows and the lows / highs. So I created the Good Vibrations MT4 Indicator for myself (see above and below). I like the Good vibrations indicator as it measures the distance between the important highs and important lows (the markets vibration rate) in PIPS and also runs on a blank chart that means that I only see the indicator and no irrelevant information. 1. The normal vibration (trading volatility) rate is very handy information as it give me an idea when the price trend is likely to get exhausted and start reversing. 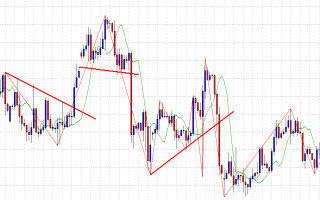 In the above example you can see that the price travels +/- 100 to +/- 150 pips before it reverses. So now my trading zone becomes 100 to 150 pips from the previous turning point. I only start looking for reversal trading opportunities and signals (provided by my favourite trading strategy) in this zone. I have found that it increases the probability of success when I enter reversal trades in price zones where the price is most likely to get exhausted and reverse. This will also give me a good idea of what size targets would be realistic to use. 3. 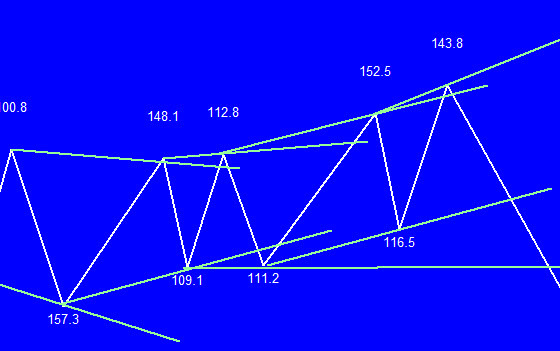 It helps me draw trendlines and channel lines (see channel lines in the chart above). The indicator and template is easy to install….. When you purchase it, you will receive the indicator and the template attached to your email. You copy the indicator into the indicator folder of the expert advisor folder of the Metatrader program files of the MetaTrader installation you are using. You then copy the Template into the template folder of the Metatrader program files of the MetaTrader installation you are using. When you open your MetaTrader charts you will load the template when selecting templates after right clicking on the chart you want to use. If you would like to use this great forex indicator please click on the PayPal button below for an immediate download and use .